Looking a smart domain name generator to get a catchy name for your business or brand?. Selecting a domain name is not simple. You need a domain name/site address which will both be meaningful and memorable, while describing what your business or brand is about. Even after you have turned up with something worth of your business and catchy, you may discover that the domain exists already. This will lead you back to your drawing board, and that means more headaches and hair pulling. However, it does not have to actually take you forever to turn up with an outstanding domain name. Try out one of the domain name generator listed below and save yourself a little hair pulling. This tool offers you with the available catchy domain names ideas. You can begin by selecting a keyword which you want the domain to incorporate and you will get hundreds of ideas quickly. Although this website encourages you to make a Shopify shop utilizing the domain name suggested by them, you can go somewhere else also to buy the web address. Also read: Free keyword research tools for domain names. If you’re looking for a complex and attractive domain name for your business or brand, then this tool is ideal for you. With this tool, you can easily find randomly generated words for inspiration, domain name search and a numerology calculator. 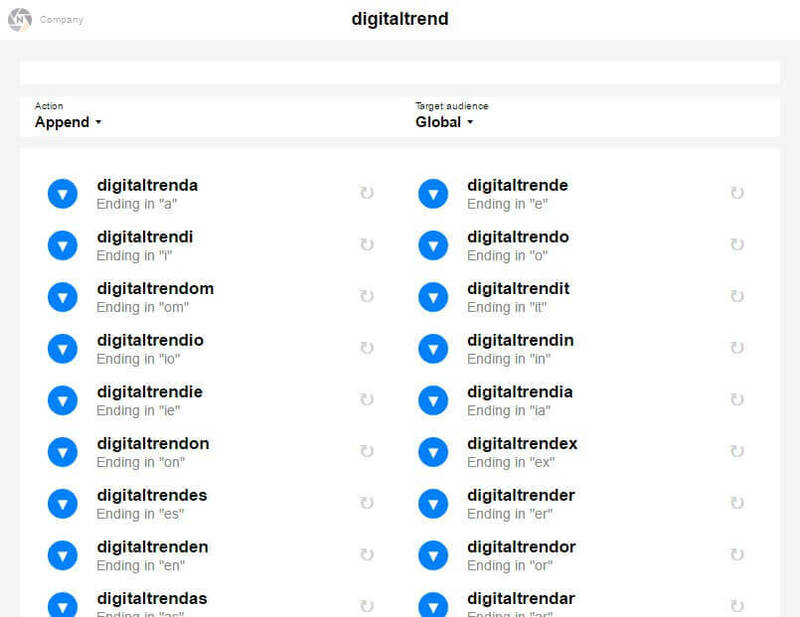 When you type in your desired word or name in this tool, you will get hundreds and thousands of brand name ideas in no time at all. If you have many keywords in mind, then NameMesh will work great. Choose two or three keywords, type them in the search box and generate your list. If you don’t have any keyword or niche, you can see how to find profitable niche market. This tool will provide ideas based on the categories like New, common, Similar, SEO, Short, etc. you can also filter the results depending on unregistered domains, maximum length and domain extension. It is a domain name generator, domain name generator, and short domain names search tool. You can get started easily with two keywords only and look for different domain name ideas. If your desired domain name is taken, then you can go to GoDaddy, where you will get other extensions of that domain. In case you do not like what you get, Panabee will provide related terms that you can look for. This tool also shows you if the best domain name is used as username on social media. When you’ve no idea about what domain name is best, begin with this tool. Select 2 categories to make use of as beginning and ending for your domain and then enjoy a great list of options. You also can type your own words in case you’ve a topic. If you love what you see, then add the options into your scratchbox as favorites. 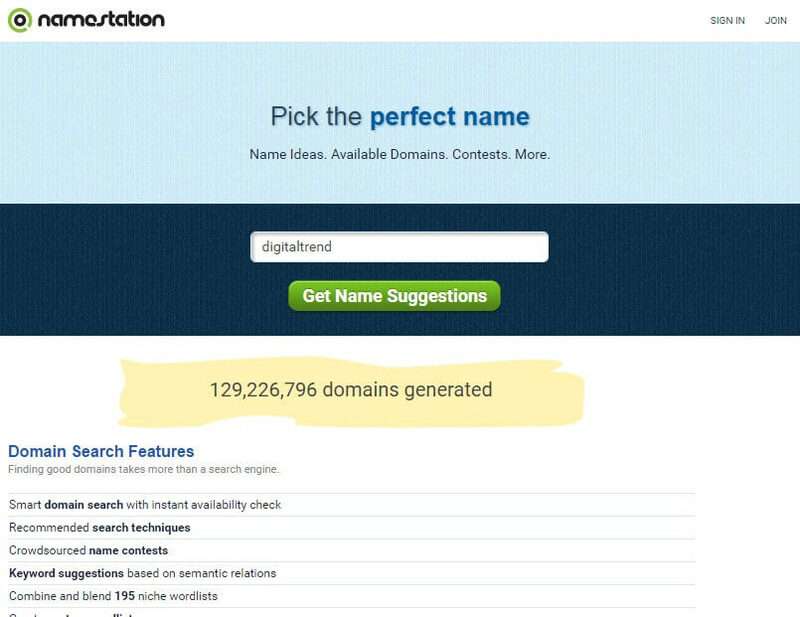 This is short and catchy domain name generator tool helps brainstorm name suggestions by creating lots of ideas. Once you find an excellent one, you can check that domain for its availability and then register it. Enter up to five words and easily review your options. Select between exact keywords, rhymes, blends, modifications, suffixes and more. If you want inspirations, then this tool can help you in that too. Simply enter a name which you are looking for and use the pre-pend/append feature to discover something which fits in your needs. You can enter a keyword which describes your business the best and select between the available options. In addition, you can try clicking “I am feeling lucky!” button in order to find original names. I you want more from this creative domain name generator, get a free copy of “How to name your business” book from this tool. It generates made-up words that look great and are unique. Every word is not over 10 letters and you can choose from up to 5 languages. You can also mix and match the languages to make a unique mix. Wordoid lets you change quality level from lower to higher. So, higher is the quality, more the word resembles the natural word of chosen languages. This catchy, fun tool for inspirations does not need keywords. You just need to press a button. Simply click “Another” and then read the original business name chosen mystically for you. In case you like it, then you can purchase the domain name instantly with new catchy business name. With this tool, you get amazingly simple and straight-forward search, DNS management and registration for hundreds of domain name extension. You can easily link your web address with the best web services and apps from around the world with this tool. Moreover, you will get more than 500 new naming options. This tool lets you explore the whole domain names space beyond obvious .net, .org and .com and find interesting and new domain names. It logs searches anonymously and also tracks more than 1700 high level domains and more than 1300 generic TLDs. There are 2 external APIs for client side implementations and web services. This random domain name generator focuses on showcasing quirky and unique domain names using suffixes and prefixes. It also helps check the availability of exact match domains for your search terms. You easily can sort as well as filter search results in order to find an excellent domain name. Moreover, you can mark any search result as your favorite. Read more about free blog title generator and analyzers. This tool helps you to find out the best domain name using its words combiner, finding alike words and quickly checking for the available domains. It has many filtering tools that will help you to find a high quality domain which meets your particular needs. You can choose to filter by extensions like .net, .org and .com. It uses a bit different approach than other available tools. Begin by turning up with your keywords. Then select to add adjectives, nouns or verbs to the start or end of the keywords. You can select 4 letters domain name, 5 letters domain name and 6 letters domain name in option or just choose to mix anything together with your keyword. You will then get many fun ideas. This tool helps you to find out available domain names depending on the keywords you select. Enter 2 keywords and the tool will immediately deliver a complete list of the suggested domain names. You also can see which domain name is available for resale and allow rhyming keywords or hyphenated suggestions. Nameboy works very well if you’ve an idea already about what keywords you wish to utilize, but you’re looking for suggestion on different variations. This is an easy to use, intuitive and fast domain name generator tool. Just enter your keywords and this tool will show whether the domain name is actually available or not, while also creating random domain names. In case your very first choice is not available, then you can view the list of recommended domain hacks. 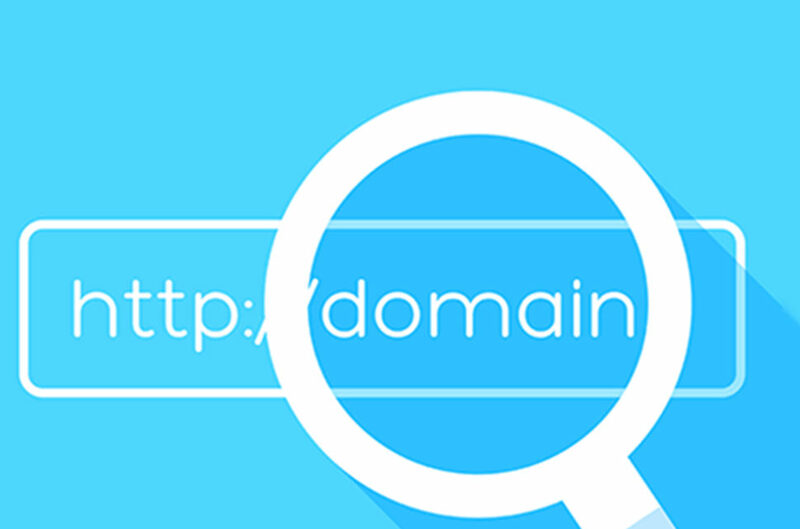 Domize offers security and speed to search the domain names in encrypted environment and checking whether any domain name is registered previously, is due for expiry or whether it can be bought or not. Once you type the keyword, the results are shown below immediately, offering immediate results. Operating since 2004, DomainsBot takes your idea and turns it into names; displaying available catchy domain name suggestions, telling you about expired, expiring as well as for-sale domains. DomainsBot also provides corresponding Facebook and Twitter suggestions. You can utilize the accompanying iPhone application to get great domains quickly. Filter by language or extension, or just add your synonyms, suffixes or prefixes. This tool offers you with domain names quickly by combining the keyword you wish for with a word right from NameTumbler database. After you combine the words, you can select your keywords placement. You can also use hyphens to separate the suggested terms, select your extensions and view results. This tool provides a complete suite of the domain tools, including catchy domain names generator using preferred keywords and prefixes or suffixes from over 180 word groups. This tool recommends a combo of 2-3 words along with brandable names in 5 different domain categories. This is a simple and straightforward tool with numerous options. Begin with its “easy” version and type in your keyword, select your domain extension and look for ideas. One of the best things about this tool is that you can enter many keywords as opposed to one or two only, like with other tools. It’ll combine the keywords in different variations. Add the results in your favorite list and try more advanced search. Quickly get started with this tool by signing for FREE account, which can be done using your Facebook or email account. Using this tool, you’ll get access to instant availability checker, catchy domain name generators, keyword suggestion and public name contests. It has a filter based on name length, extension, etc. If you do not have a keyword idea, then try searching in your own industry for ideas. Also read: Free backlink checker tools for analyze your website link profile. Looking for an ideal domain name generator for your business, but don’t want to get domain name registration done. Looking to launch your business immediately? If yes, then this catchy business name generator tool is definitely for you. Just type one or two words, hit on “Enter” and then get all the names available in lesser than a minute. Since this tool checks domain name availability automatically through GoDaddy, you’ve a ready to go list of options in a few clicks only. With this tool, you can review a huge list of random composed attractive business names for inspirations, before you begin generating names. If you love any word, then you can Google for its meaning just be pressing magnifying glass icons. You can check the domain availability by simply pressing on the planet icon. FreshBooks is one of the easiest generators of all tools. This is a great tool which comes up with lots of suggestions. This tool delivers business name ideas that are related to your business and related to your own industry. Its website is so good looking that you get encouraged to begin the procedure of generating a business name. 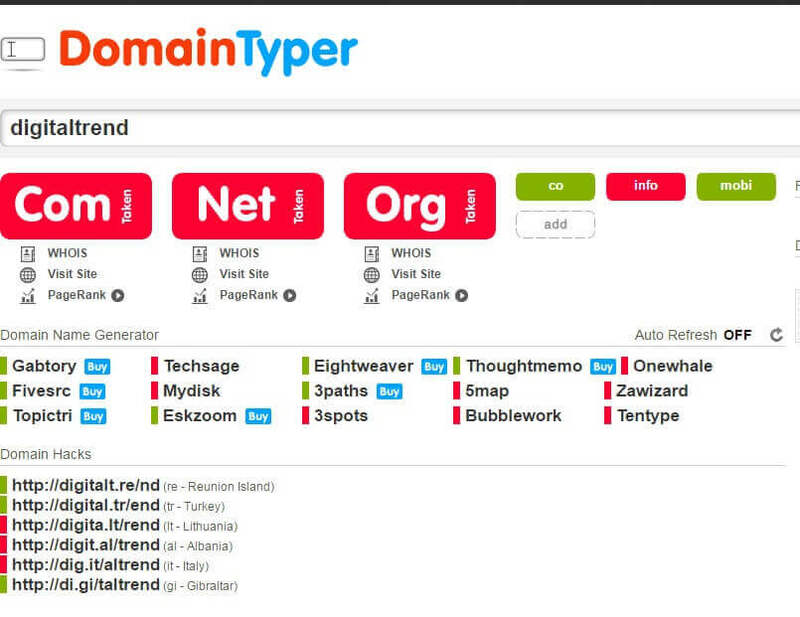 This tool is ultimate for naming domains, products and brands. They have over 7 million apps to select from. It need a single click on the “Launch Business Name Generator” and a pop-up will appear when you need to click on “Get Name” and there you go! Now you can surf through thousands of random names and choose anything which catches your eyes. It also has a good domain names checker which works in the same way. This is not just a basic generator. Rather, this tool offers you with categories and subcategories to select from. After you’ve filled the different drop down boxes, you will be provided with many potential business names. You can play around with a few suggested groups that are related with your business or brand until you get the one which is ideal for you. This is a handy business name generator tool to find the perfect business name. You just need to enter the keyword and choose from different scroll down boxes in order to identify the potential names to assess. You will get thousands of choices every time you set the parameters. Take time and choose the best one for your need. Using this tool, you’ll get access to instant availability checker, domain name generators, keyword suggestion and public name contests. It has a filter based on name length, extension, etc. If you doo not have a keyword idea, then try searching in your own industry for ideas. You can carry out business name generating contest using this tool. The most creative Namers will submit the business name suggestion on that contest. You’ll get over 1000 customized business name ideas. Naming Force’s team will rank the names from 1 to 1000. You can choose the best name and Naming Force will award the winner. This tool offers you with a lot of options that are pre-selected by team of specialists from across the world. You can select keywords, invented words or all the words and you will see a variety of prospective names with the prices to fit your budget. It has more than 28,000 business names to select from. In addition, you can choose a domain name. This is another catchy business name generator tool offers thousands of business names to select from. Although this might not be a large number, but Brandroot also offers domains, logos and prices and that is unique. It’s the place where you could learn how costly the domains are. This tool provides possibilities to search for the names by the categories or your keywords. Are you looking for a rare, memorable and short domain names? You can get the best deals on Branddo. Their experienced team will assist you find premium domain names for your product or brand which will offer lasting success. They have a long list of unique, catchy and memorable names too choose from for you. This tool works a bit differently as compared to other generators. You can select your category, preferred keywords, how many letters and how much you are ready to spend in order to purchase a name. After you complete the search, you will not just get many possible options but a logo and font design will be supplied too. If you are looking to buy a brand or domain name, opt for this tool. The process to buy a brand name or domain with this tool is a very simple process overall. Finding a great business name is simple with Novanym. Irrespective of what your venture might be, the most excellent strategies for online presence and success begin with a .com domain. They have hundreds of unique, curated business names available for sale. Find quality brand names available in this generator’s industry specific brand names collection. There is a great competition everywhere. So, you need to have a catchy brand to get noticed. Catchy tool has hundreds of short .com catchy brands to rent or even buy. Moreover, they are all available at very reasonable prices for everyone. You have to look at keyword tool which provided by Google and check out massive list of keyword research tool to choose your business name. If you don’t want your brand name is catchy, keyword generator is a great way to get more customers instantly with the help of search engines like Google, Yahoo and Bing. Don’t you know about what is keyword? Keyword is the search term of search engines optimization. In a simple way, what users make queries on search engines to get their information. Normally it wont look a great brand name, but it will give you the massive traffic from search and you can get more customer instantly. You have to look at keyword tool which provided by Google and check out massive list of keyword research tool to choose your business name. Comment here if i missed anything.